Finding the best bank in Germany is not an easy task. There are a lot of banks on the market, and therefore you have a dizzying number of choices. We have compared the pros and cons of every bank and made an overview for you. In that way, you can find the best German bank account that fits your needs. The main question that you hear nowadays is if the online banks offer better value than brick-and-mortar banks (banks that have a physical presence in a building). According to the ‘Bundesverband deutscher Banken’ banks are steadily getting rid of their brick-and-mortar offices in the last years. Meanwhile, there is a clear up-trend in online banking. In beginning of 2011 just half of the adults used online banking in Germany, and currently it is up to 80%. This means that online banks are gaining ground on the traditional banks. However, it is up to you to decide what you like best. Finding the best bank in Germany for foreigners is not easy, but with our tips we will ensure that you will find the bank that fits to your needs. TIP: When you go to a website of one of the banks – which are often in German, make a right mouse-click anywhere on the page (only works with Google Chrome!) A small drop-down menu will appear, which will give you a couple of options. One of those options will be ’translate this page to English’ (or any other language). This will make it better understandable and easier for you to make the right decision. What are the best banks in Germany? And, which of them offers the clearest contracts and the best conditions? We have listed below the most frequently used and reliable banks in Germany. All these German banks offer a different kind of checking accounts, discounts and credit cards. Are you wondering what best bank in Deutschland is? We have listed the best banks in Germany below. All of these banks offer clear contracts for non-German speakers and are used by most German inhabitants. N26 is a purely online bank. It has rapidly grown as the largest online bank in Europe. The N26 Checking account is free of costs. It provides everything you will need to do all your banking. N26 is used by most expats since there is no minimum input and their mobile banking app is in English. Moreover, there is no credit check or ‘Shufa’ entry necessary, which makes it fairly easy to open an account. ;/ You can open a bank account within 10 minutes. You will receive a free Mastercard along with the bank account. It is a prepaid credit card and it does not allow overdraft. You can get free cash withdrawals at any ATM worldwide that accepts Mastercard – which is quite exceptionally within Germany. If you are interested you can have a look at their website and see if this is the right bank for you. 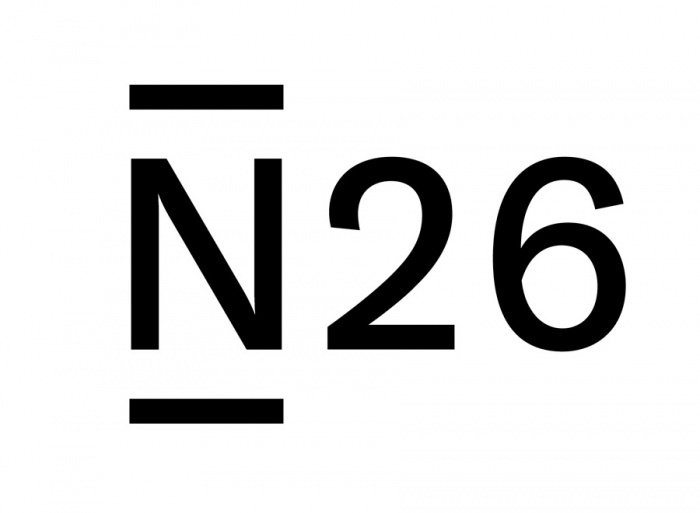 N26 offers bank accounts to non-German residents. If you are from Spain, Italy, the Netherlands, Belgium, Portugal, Finland, Austria, Ireland, France, Slovenia, Estonia and Greece you can get a free checking account. N26 is a very convenient bank for newcomers. You need to have proof of Identity and you need to be 18 years and older. You can open an bank account if you fulfill those requirements within 10 minutes. One of the biggest and fastest growing banks in Germany is the DKB – Deutsche Kredit Bank. The bank was founded 1990 and serves now over 3 million German customers. If you are fine with doing all your banking online – this is the best bank account in Germany for you. It offers benefits and advantages that traditional banks do not offer and therefore DKB internetbanking very interesting for expats. The DKB is a subsidiary of the Bavarian bank. The bank primarily focuses cash checking accounts for private and freelance clients, but they also offer financing of real estate and the granting of personal loans. Their main advantage is that they offer free VISA credit card with free worldwide withdrawals. That hey offer a free credit card in Germany is unique in the German banking world. This is something that can come in handy when you are often abroad. 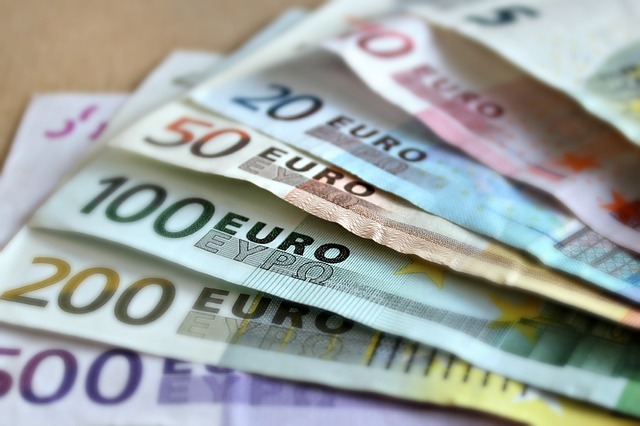 Moreover, you can withdraw cash from any ATM in Germany without paying additional fees. Also, DKB makes it easy to set up a German bank account for foreigners since they have a clear business model. DKB is therefore the best bank in germany for foreigners and the best bank in germany for students. The Nortisbank GmbH is an online bank which offers attractive rates. Norisbank is one of the best banks in Germany since it has recently moved all their business online and therefore can offer very attractive rates. It is a well trusted bank in Germany which was founded more than 60 years ago and a subsidiary of the Deutschen Bank. The Norisbank offers attractive rates at a very competitive level. * Cash Group are all ATM’s that belong to the Postbank, Deutschenbank, Commerzbank and Hypovereinsbank. Norisbank offers interesting rates with a free checking account with no monthly input. They offer an easy understandable website where you can do almost everything online. Norisbank is a good bank if you are interested in easy online banking. The growth in online banking does not mean that traditional banking is at its end. A lot of people still go to their trusted banks to access their accounts. If you handle more complicated transactions or banking products on a daily basis, it would be advisable to put your money in a traditional bank. Moreover, if you are in a business where you handle a lot of cash on a regular basis, this would be the right choice for you. The German Postbank AG is one of the largest traditional banks in Germany. It has around 16 million customers in Germany alone and has offices in every major city. This makes it the largest bank when it comes to dealing with current or checking accounts. The Postbank has offices in every major city and can be found and almost every village. It does not matter if you live in Berlin, Munich, Hannover or Frankfurt – you will find a Postbank branch in your city. If you prefer face to face banking- this could be an option worth concidering. The Postbank offers a lot of options; whether you want a personal savings account, a deposit or a trust fund – the Postbank can offer it. With a total asset of 147 billion and 18,000 employees Postbank is a big player in the market. The Postbank is well known for its high customer satisfaction rate. The Deutsche Postbank primarily focusses on business with private customers and on small and medium-sized companies. Commerzbank is the second largest bank in in Germany. With around 1200 bank branches in Germany alone, it is one of the most represented banks in Germany. It has around 14,5 million customers worldwide and was founded in 1870. The Commerzbank is a strong entity that offers almost everything a normal customer may need from their bank. They are well represented within Germany and can be found in every city and almost in every village. If you handle a lot of cash on a day to day basis, this company could be something worth considering because they have a lot of branches. All activities of the Commerzbank can be managed online. Think about account management, retirement or mortgage planning. This can all be done relatively easily at the Commerzbank. If you are from German origin and you possess a German ‘Personalausweis’ you can easily open a bank account using the AusweisApp. The sign-up process is very similar in every bank. It does not matter if you go to DKB, Norrisbank, Postbank or Commerzbank they all request the same basic data. It is relatively easy opening a German bank account, also when speaking little to no German. To ensure that you understand the requested data we translated the most important fields for you. If you still don’t understand what exact data they require from you be sure to translate the page in your browser, as described on top of the page. After you have provided all the requested information you will have to agree with the terms and conditions of the banks. You can easily do an online-id-process, which is quite convenient. You will have to identify yourself via a webcam where you must show your current ID or passport and a pin number which you will receive via email. That’s all there is to it! You now have officially opened a German bank account. So what is the best bank in Germany for foreigners? DKB makes it is possible for foreigners or future expats to open a German bank account from abroad. If this is an important point for you, then it could be smart to open a bank account with the DKB, because their online presentation makes signing up really easy! During the process you simply state your current foreign address and you can open a German bank account and receive their free DKB Visa Card. Everybody is different, and therefore there is not one bank that can fulfil everybody’s needs. Therefore it is hard to say what the best bank in Germany is because everybody has other needs. One person likes to do business in person while to other is fine with the anonymity of an online bank. It does not have to be one or the other, you can also choose both! Open one account at an online bank and one at a traditional bank. In this way, you can use the best of both worlds. Use the benefits of an online bank – high interest rates and free ATM usage- and use the benefits of traditional banks- tailored service and personal assistance. When it comes to online banks, DKB offers the best rates and benefits in the online banking segment. Furthermore, when it comes to traditional banks, Deutsche Postbank offers tailored service and is well represented within Germany. If you want more information about these topics, just have a look on the websites of DKB and the Postbank – they both have an excellent website where everything is clearly explained. If you don’t understand German that well, be sure to check their website with the trick we described on the top of the page. Good luck banking!